On 10. October 2017 the Conference of the Parties 5 (COP 5) of the Carpathian Convention started its work in Lillafured, Hungary. The location of the conference is very close to the Bukk (in Hungarian –beech) National Park and the participants not only from Carpathian countries started the day with a trip to the beech forest and the caves of the National Park. The afternoon session focused on Climate Change, Biodiversity and Large carnivores issues. The main threats to sustainable tourism in the Carpathian region were highlighted: rural depopulation and youth migration. Beside the official programme it was an opportunity to observe, learn the experience and taste local products branded by the Bukk National Park. In addition a meeting of the Carpathian sustainable tourism experts of the CSTCs Ukraine and Romania, led by Michael Meyer from Ecological Tourism in Europe was conducted. The European Wilderness Society is operating jpintly with ETE and the Ukraine the CSTC Ukraine. Participants discussed potential project applications to be submitted to the recent and coming calls of donors and scheduled further work on the implementation of the Strategy for Sustainable Tourism Development of the Carpathians. During the third day of the Conference Ministerial segment and adoption of the number of important Convention documents will finalize the meeting. 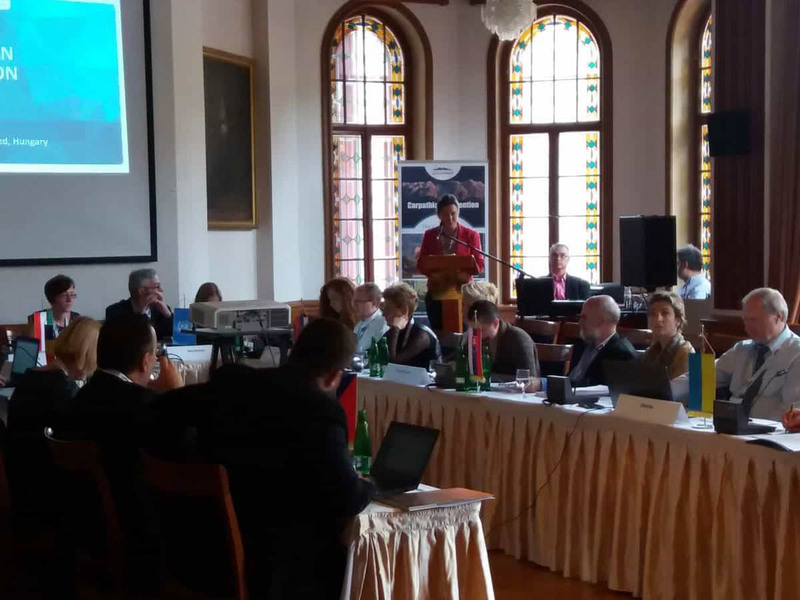 European Wilderness Society attended COP5 and contributed to the further support of the protection and development of the Carpathian region.